An employment agreement is a legal contract between employer and employee that covers the terms and conditions of employment. Though it does not have to be in writing, it often should be because there are so many different things that need to be considered and specified. The legal name of the employer and the employee. The position that the employee will hold (e.g., labor, cashier, waitress, management). The place and hours of work. The rate of pay (whether hourly, salaried, and amount). Note: for salaried employees usually there is no minimum wage or overtime pay. Benefits such as medical, dental, life insurance, etc. Break times, holidays, vacation and sick leave. Non-disclosure, non-compete, and non-solicitation clauses. It is best for the employment agreement to describe, generally, the title, duties and responsibilities of the employee. That way both employer and employee share expectations and are on the same page. Very often the job position being sought implies the duties involved. For example, if a political party is hiring for a voter registration drive, the job is self-evident: register voters. If a restaurant is hiring a waitress, again, the job sought clearly identifies what the employment will entail. An employment agreement need not spell out the precise particulars of the tasks to be undertaken in the job, or be all-inclusive of what’s to be done. The specifics, procedures and routine can all properly be left to on-the-job training, including verbal or written instructions and training manuals. Many jobs start with one set of tasks and grow into another. Sometimes the employer just needs help, another hand, or doesn’t know what he/she needs until things get going. In most cases, this is perfectly fine. Playing it as you is an acceptable practice. Regardless of the position filled, an employee can be asked to do anything that is lawful. His/her duties can be narrowed, expanded, and changed in any fashion that is not contrary to law, licensing requirements, or an express contractual commitment. Absent training, it rarely makes sense to have an employee do tasks that he/she is not qualified to do. Though job titles and duties can be changed, it only makes sense to adopt and follow clear policies and guidelines for job performance, promotion and raises. Though an employee can be hired for one thing and asked to do another, the employee can always ask for more pay or quit if his/her pay level is not commensurate to the job being done. Generally speaking, salaried, management-level employees are not entitled to overtime, and hourly, non-management employees are. Put another way, management is usually exempt from overtime, and non-management is considered non-exempt. The legally deciding factors on what qualifies employees for overtime, or makes them exempt, are these: (a) how much they are paid, (b) how they are paid, and (c) what kind of work they do. With few exceptions, exempt employees must (a) be paid $23,600 per year or more ($455 per week), and (b) be paid a salary (verses hourly wage), and (c) perform exempt job duties. Job duties qualify as exempt when they are of a high level. This means the salaried professional, executive or administrator must regularly supervise two or more employees and have real input into the job status of those employees, such as hiring, firing, promotion, and job assignments. Some employers give an employee a high level-title such as Administrative Secretary to avoid paying overtime. But the title given is not the controlling factor. A secretary doing regular secretarial tasks is still a secretary and is entitled to overtime pay. A good rule of thumb if the person in question is in charge. If so, he/she is usually exempt. Some employees are exempt by law, regardless of amount of pay, method of payment or kind of work. For example, commissioned sales employees are exempt as long as more than half their income is earned by commissions and they average one and one-times the minimum wage per hour worked. So you can calculate their wages earned per hour, it is wise to have them clock in and out (if you have a clock), or to otherwise keep track of their working hours on a form provided by the employer. If you don’t, you will have a hard time proving your case should you ever have the need. An employee who is exempt from overtime can be asked to work as many hours as needed. They can be asked to stay late, work weekends, and sacrifice personal time without any increase in pay. The converse is true for non-exempt employees. For them, it is critical to make it crystal clear that they must take morning, lunch and afternoon breaks, and cannot work overtime without express written approval. For this reason, it is always a good idea to make the employee’s status clear at the time of hiring or when a promotion is given. Let the exempt employee know he/she is exempt, and the non-exempt employee know that strict compliance with the company’s overtime policy is required. This smooths the working relationship and keeps everyone’s expectations on the same page. Though federal labor law is uniform across the country, state labor laws, regulations and practices vary from state to state and may differ from federal law in important respects. Because this can be a very complicated area, it is wise to consult with an attorney whenever in serious doubt over the classification. The three Nons, as they are sometimes called, are particularly important to all companies that deal in proprietary, confidential and sensitive information, have valuable customer/client lists, or work in a highly competitive marketplace. However, all companies should include them as clauses in their standard employment agreement, or as stand-alone agreements, on the simple rationale that you never know when they will come in handy. A non-disclosure agreement, often referred to as an NDA, is as it says an agreement to keep confidential and not to disclose certain information and materials. In the employment context, it is an agreement by the employee to refrain from disclosing at any time (during the term of employment or after) any information that is proprietary, confidential or secret about the employer, its business or its clients. The information naturally includes financial information, trade secrets, secret recipes, unique inventions, competitive strategies, new products in development, unique and proprietary ways of doing things, and the like. To avoid any misunderstanding, and to fully protect its rights, a cautious employer is advised to specifically list in the NDA any unique items or processes involved in its business that might not naturally be considered confidential. A non-solicitation agreement, sometimes called the NSA, is a contractual way of stopping your employees from “stealing” your clients or customers. It is particularly useful when your business relies on repeat or on-going business from the same company or person. Hair salons, talent agencies, medical practices, law firms and landscaping companies are all alike in that they face the same potential problem: an employee leaves and either takes his clients with him. Sometimes an employee leaves and does not steal the employer’s clients but instead opens up shop right down the street or in the same community. In that situation, the employer’s customers may choose to go with the employee for any number of reasons, from affinity to the employee to convenience. To prevent that from happening, employer’s should consider having all employees sign a non-compete agreement. This agreement restricts an employee from going into competition with the employer for a specified time (say, two years), and within a certain distance of the employer’s place of business (say, 200 miles). While NDAs and NSAs are routinely enforced by the courts, the same is not true of non-competes. 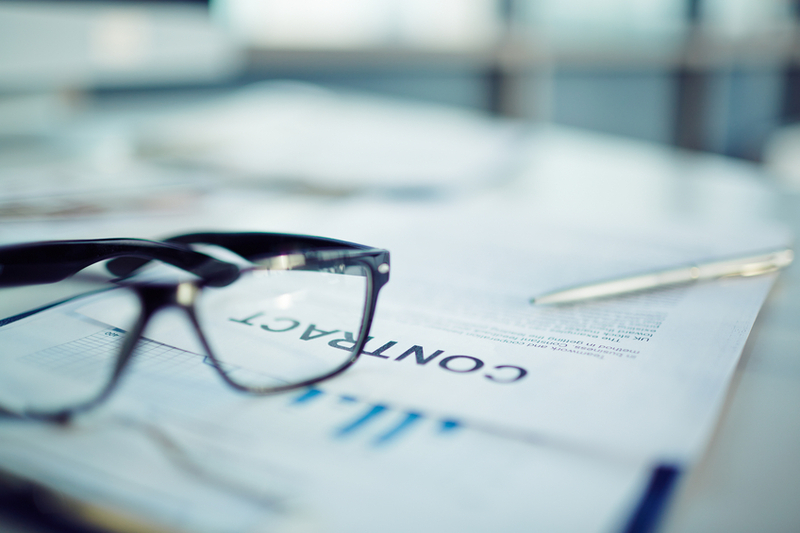 On the rationale that everyone is entitled to work, non-compete agreements are often heavily regulated by the state where the employer is doing business. So called right to work states make non-competes unenforceable as a matter of public policy; other states limit their scope and duration; and other still others put the burden on the employer to justify any limitations as reasonable. Employers are wise to consult with an experienced employment attorney on the nuances of the particular laws of each state where it has employees. When the NDA, NSA or non-compete are valid, they provide a powerful tool to the employer. First they provide a solid basis for an attorney to send a cease-and-desist letter. Often this is all that’s necessary to stop the transgression at issue. When this fails, it provides a solid basis for the attorney to go into court and seek whatever remedies are needed, such as a TRO, injunctive relief or damages. Most employees are considered at-will. This means the employer can terminate the employee’s employment for any reason whatsoever, i.e., at-will, except where doing so would violate federal or state discrimination or labor laws. An at-will employee can also be demoted or reassigned at the sole discretion of the employer. It also means the employee can quit at any time, without breaching the employment agreement. If this arrangement is desired, it best to expressly include this term of employment in the employment agreement and to have the employee initial it. What has gotten some employers in trouble is that they have adopted policies and practices that are inconsistent with at-will employment. Procedures manuals might require good cause for demotion or termination, or might lay out a particular procedure that must be followed to demote or terminate. Here it must be made crystal clear that these are guidelines only and do not convert the at-will employment to something else. Though it may seem repetitive or laborious, repeating the at-will policy again and again is the safest way to go. When an annual review is given, which is recommended, include on the review a restatement of the employer’s at-will policy and have the employee sign it. When an annual raise or promotion is given, same thing. When an Employment Manual is used, make sure the Manual expressly states that employment is at-will and that nothing in the Manual is intended to change that. The time, expense and hassle of a lawsuit is something the employer wants to avoid. The most effective way to do this is to include in every employment agreement and employment manual a requirement that all disputes between employer and employee be resolved by mandatory arbitration. Typically the American Arbitration Association, aka AAA, is specified as the exclusive method for the arbitration. AAA provides detailed rules and guidelines for all parties to follow. For most employers, mandatory arbitration should be binding in all situations except where it is necessary for the employer to enforce an NDA, NSA or non-compete. Here the court system is much more effective because the court can issue a Temporary Restraining Order (TRO) and/or Injunction, both of which are enforceable by contempt. AAA arbitrators do not have the power to do that. An employment manual is a collection of company policies and guidelines. It used to be that only large corporations with lots of employees had them. Today, with computers and printers being commonplace, and the availability of downloadable manuals on the internet, many small employers have them as well. From the outset, it is important for the employer to make clear whether the employment manual is considered part of the terms and conditions of employment, i.e., mandatory and binding on the employer and employee, or whether it merely sets forth guidelines from which the employer may depart at will. For liability reasons, the better practice is to specify that the employment manual itself, and all policies contained therein, only provide guidelines. All binding terms and conditions should be set forth in the employment agreement itself, or attached as exhibits. To provide further clarification and erase any possible doubts, a common phrase inserted in both the employment agreement and manual is that the employment agreement controls the parties’ rights at all times, even where the manual is/seems inconsistent or contradictory to it. Prior to the signing an employment contract, the employee will be going through a hiring process in which information will be collected about the employee both through written documents and verbally. There are many pitfalls that can occur during this process. For guidance on what type of information your company can collect on the employment application, we suggest the following article. Often mistakes are made during the interview process where even seemingly harmless questions can be problematic. This article will help you avoid many of the legal landmines. Have a question about employee contracts? Connect with a SCORE mentor online or in your community today! This article is provided by FitSmallBusiness.com, an online publication which helps small businesses grow their top and bottom lines. David Waring serves as the publication’s editor-in-chief.